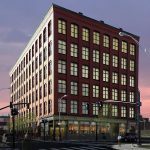 The Turks Head Building is a historic, 17-story, 146,200 square foot office property in the heart of Providence’s iconic financial district. With its CBD location and close proximity to municipal and federal courthouses, the property caters to law firms, financial services and professional services firms. With flexible 9,100 square foot floor plates, it serves tenants from as low as 500 square feet to over 18,000 SF. 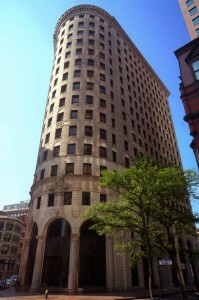 The property is among the most desirable and well-located “B” office properties in Providence. With its unique shape and construction, all spaces have large windows, ample natural light, with downtown and water views. Through its proprietary relationship with the seller, Waldorf structured a unique off-market transaction at an attractive cost basis. Upon acquiring the property, Waldorf initiated a comprehensive capital improvement program. In the first year of ownership, Waldorf decreased utility costs by over 20%, improved common areas and lobbies, and increased occupancy and NOI by over 15%. For leasing inquiries, please call Milton Baxter at 401.633.0430 or email MBaxter@waldorfcm.com. © 2015 WALDORF CAPITAL MANAGEMENT LLC. ALL RIGHTS RESERVED.